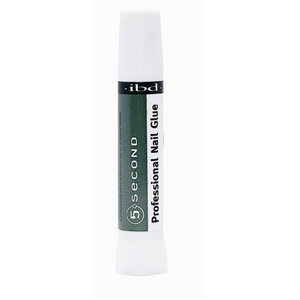 It's your chance to win a tube of ibd 5 Second Nail Glue! It’s a recession proof, must-have-in-your-purse item. Not only can you fix a nail with this stuff .... but you can also temporarily mend your broken heel, busted eyeglasses, or restore that bauble back into your bracelet. You can even use it to fix the broken backs of earrings! Pretty awesome, right? But that's not all. AII Beauty is partnering with The Beauty of Life to give away 10 tubes of ibd 5 Second Nail Glue. And in addition to the tubes, they'll be creating grab bags with some very special surprises inside! So 10 of you are about to get very lucky. Here's how to enter. Put your name and email address in the box below, along with answering the question posed here -- What would you fix with ibd 5 Second Nail Glue? The winners will be selected on Friday, April 3 and notified by email. It's that simple! This giveaway is open to US residents only. Giveaway runs until Thursday, April 2 at midnight. One entry per person, email address and IP address. Multiple entries will be disqualified.